The QuickBooks ProAdvisor® Program equips accounting professionals with the tools they need to fuel small business success. 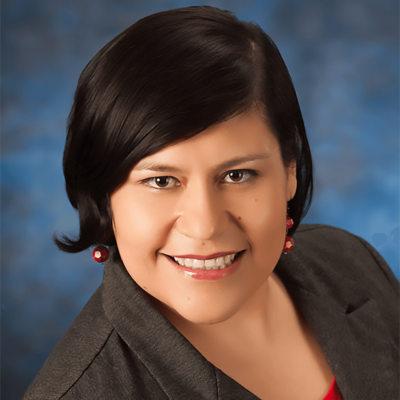 Five years ago, Juliana Ramirez started her own accounting practice and it’s grown from 11 to 108 clients. In this profile, learn how her business strategy created opportunities for herself, clients, business partners and employees, and how she utilized QuickBooks® and the ProAdvisor program to support and grow her practice. Sheila Kilbride: Thanks, Juliana, for meeting with me. To start, could you tell me about your current practice? Juliana Ramirez: Sure. I started JR Bookkeeping on April 1, 2012, with 11 clients. I grew quickly through client referral. By the end of the first year, I had 28 clients. In August 2013, I hired my first employee. Today, I have an office in Ventura, California, with six employees serving 108 clients. Sheila: How did you get started in bookkeeping? 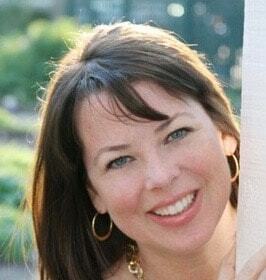 Juliana: I started my career in 1999 as an administrative assistant at a small lighting company. One day when I came to work, the owner looked overwhelmed. She shared that the manager who was in charge of doing the bookkeeping had quit, and asked if I would be willing to step in. I said I didn’t know how to do bookkeeping, but I was willing to learn if she would teach me how. I caught on quickly. We realized I had a natural aptitude for numbers and accounting. To supplement my natural ability, she helped me pick out accounting courses at Santa Barbara City College. I worked at this company for three years and eventually other local companies for another 11 years. My last employer encouraged me to start my own business. To support me in this transition, he gave me 11 bookkeeping clients, and in exchange, I provided him with bookkeeping and payroll services for the next three years. Sheila: What made you decide to focus your business solely on bookkeeping? Juliana: Throughout my career, I was doing the bookkeeping for my employers and then providing that information to tax accountants. I felt very comfortable and confident in my bookkeeping skills. At the same time, I figured out that if you’re going to do something, do it well and don’t be a jack of all trades. If anything, improve what you already know and capitalize on that. Sheila: Why did you choose small businesses with less than 10 employees as your niche? Juliana: I wanted to help small business owners and get to know more people in my community. If I assisted large clients, I would only have the capacity to take on a small number. Additionally, if one or two clients leave, for whatever reason, then I would lose a significant part of my income. I would rather service 100 small business clients that can utilize me as a trusted advisor and don’t require a lot of my time, than only assist 10 large clients. Larger companies need an in-house bookkeeper for their daily bookkeeping tasks. With a small business, they can get their books done on a monthly basis in order to stay in compliance, file their taxes at the end of the year and get my assistance with what matters most to them. Sheila: How were you able to scale from 11 clients to more than 100 clients? Juliana: I developed an easy-to-follow system. It’s based on what I learned from my first employer who trained me in accounting. She took me through a step-by-step process, including recording a check and reconciling bank statements. The steps made sense to me, and every place I worked I would apply the same process. When I train my employees or my clients, I emphasize before you do step two, make sure step one is correct and it’s mastered. Do that for every step along the way and you’ll have a foolproof process. Sheila: What’s your secret sauce for generating referrals and creating a great experience? Juliana: My number one referrals are from CPAs. We act as a team, communicating directly with each other on tax and bookkeeping. This creates a lot of value for the clients, because they don’t always understand what the CPA is asking for. When I communicate directly with the CPA, I can understand and provide the information the clients need. In turn, I also explain the accounting and financial statements to the clients in simple terms they can understand. Since I have hands-on experience in running my own business, that assists me in being able to be the bridge between the CPA and the clients. We’ve found this strategy is really helpful for everyone – our clients, the CPAs and for ourselves. Sheila: That’s great. How do you find and train your staff? Juliana: First, I utilize the resources available to small businesses, because we’re still a small business. We utilize the Workforce Development Center of Ventura County to find and fund new hires. They have a subsidy program in which we can be reimbursed for 50 percent of an employee’s salary for up to six months as long as we are willing to train the candidate. Second, we connect with colleges and employment programs that have people who want to develop their skills or start a new career. I want JR Bookkeeping to be the hub for creating future accounting professionals in our community. I believe that the reason that I have a business is because somebody believed in me and gave me the opportunity to learn. I want to do the same for others. Sheila: How did you grow your practice? I started consistently going to networking events, and I found people who needed my services. I did the work, they were happy and started referring me to other clients. As the clients provided the financial reports to the accountants, the accountants were impressed with my work as well, and they started referring clients to me. Before I knew it, I was adding about two clients a month. Now five years later, I have 108 clients. I think what helped me grow my practice is I can relate to the client because I’m a small business owner. My clients tell me, it’s like therapy when we are with you, because beyond our numbers, you really take care of us. I have a newsletter that I send out once a month called Beyond the Numbers where I provide free advice that goes beyond their financial statements. I hold a couple events at my office every year. We host our company anniversary party in April and a Christmas party in December. We invite all our clients and industry colleagues whom I network with throughout the year. They tell me they really value that I am a consistent presence in their life, beyond their bookkeeping, and provide opportunities for them to network with other professionals. Assisting them in growing their own businesses generates a lot of goodwill. Sheila: Switching gears, could you tell me about your journey with QuickBooks. Juliana: I started with QuickBooks Desktop in 1999 at my first employer. When I started my own business, I bought QuickBooks Desktop for Accountants, because it allowed me to manage multiple clients at the same time. When QuickBooks Online launched, that made my job even easier, because I didn’t have to be at the office to assist my clients. Sheila: When did you move from Desktop to QuickBooks Online? Juliana: I actually started using QuickBooks Online right when it came out in 2001. However, it wasn’t until two years ago that I started to really focus on moving my clients to the cloud. Sheila: What prompted this change in approach? Juliana: When I attended my first QuickBooks Connect conference in 2015, I learned the advantages of moving to the cloud. After that, I started actively promoting QuickBooks Online to my clients. Today, if a client is a new business, it is automatically set up with QuickBooks Online. If it is not a new business and was using Desktop, I try to get the business to convert to Online. At this point, about 65 percent of our clients use QuickBooks Online. I love QuickBooks Online because the features are constantly updated. When I am using the software and thinking about a feature I want, like reclassifying transactions, soon after it gets released in an update! Sheila: How did you learn about QuickBooks Connect and what was your experience? Juliana: I learned about it through the ProAdvisor portal. It really caught my attention, because it said I could get educated, improve my practice and hear from experts. I signed up for the first time in 2015 and took my operations manager, who’s also my sister and my business partner. Everything we heard was so helpful. It’s one of those things where you have thought about doing something, but you just don’t know how to do it. At QuickBooks Connect you hear how to do it, and think, here’s the answer. Then you come back and apply it, and it works. We learned all these great tips from great speakers. I found a lot of motivation for how to keep going and how to not give up as a business owner. Then, being able to come back and motivate my clients in the same way that I was motivated, I think that’s really why I fell in love with it. Our goal was one day, we’ll bring our entire staff with us to QuickBooks Connect. This year, all seven of us are going to be at QuickBooks Connect. Sheila: Tell me about your experience with the ProAdvisor program. Juliana: I signed up to be a ProAdvisor when I started my business in 2012. However, I didn’t get QuickBooks certified until two years later in 2014. When I scheduled the time to get certified, passing the test was so easy. It was a reaffirmation that I know what I am doing. Now, certification is a priority. As soon as the exam comes out, I recertify. It’s also a requirement for all my employees. At the beginning of this year, I took my entire staff to one of the live trainings and we all became QuickBooks Online certified. Sheila: Why do you value the ProAdvisor program? Juliana: First, I was able to access support at no additional cost. That was really awesome! For example, if I wanted to convert a client from Desktop to Online, and I had an issue, I knew I could call support and be held by the hand to get it done. Second, I could offer QuickBooks at a discount to my clients. Third, the accountant tools make my life so much easier. For example, I don’t have to log into each client account separately. I can also reclassify transactions all at once. These tools help me assist the client and I look like the hero. What else could you ask for? Sheila: If you could tell accounting pros who are not QuickBooks ProAdvisors why they should join, what would you say? Juliana: You’ll have a support system and don’t have to have all the answers. You are telling my story and maybe something I have shared will assist someone else in their journey.